The gracious elegance of classical forms and specialty finishes require a deft designer’s eye, in order to avoid the superficiality that characterizes the majority of the work we see in this style. When working with clients who are drawn to classical forms, it is imperative that the designer / maker understand the intended relationships of classical elements, and scale them appropriately. Architecturally, columns are used to carry a load. In great cabinetry, columns need to appear to be supporting the weight of well-proportioned elements above, thus supporting the visual logic of their presence in the design. 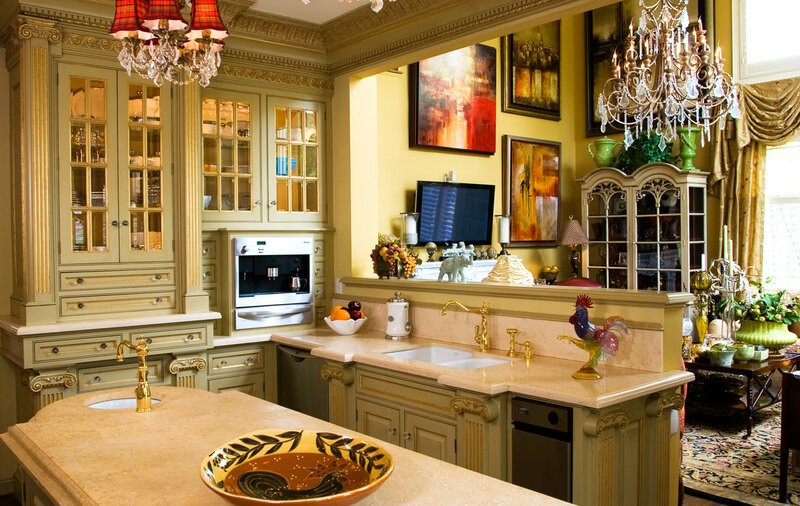 The geometry of complicated cabinetry, with ornate, classical detailing, presents a Promethean design challenge. For the true custom cabinetmaker, such heroic efforts are all in a day’s work.